Hi guys! I know I haven’t been posting recipes as often as before, but I started my Mexican Cooking Classes quite recently and I have been very busy. So today I have for you this amazing and super mega easy recipe that anybody can do! 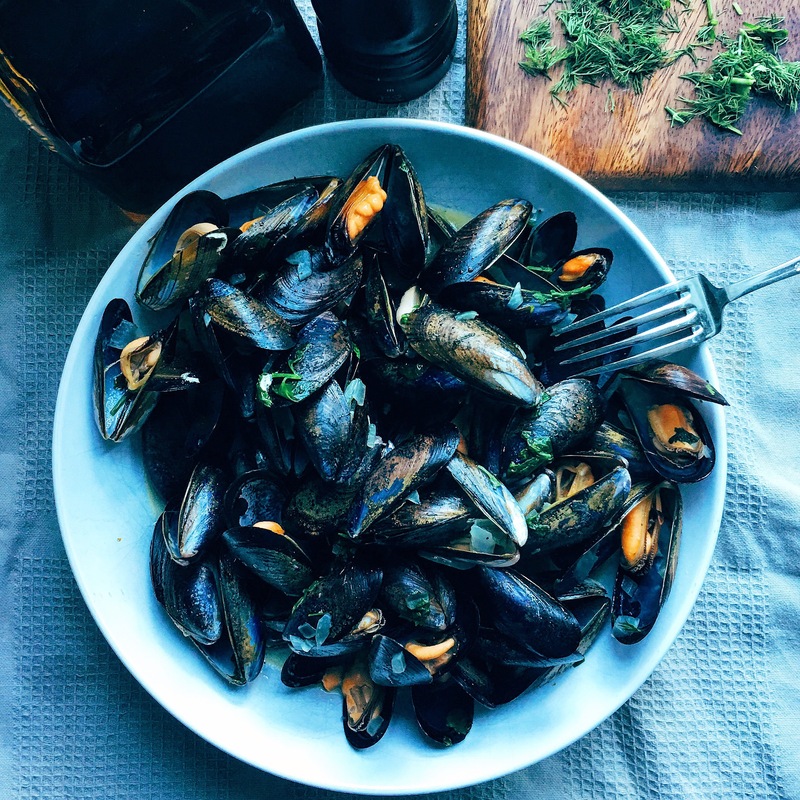 All you need is some super fresh mussels, tequila and some other bits and bobs. I personally love cooking with tequila from time to time, it adds so much flavour to food and makes everything tastes super yummy! So here is the recipe, please do give it a try, you will love it. Clean and wash the mussels. Get rid off all the mussels that are open, those are not good. Chopped the shallot and garlic very finely. Heat a large saucepan with a lid and add the butter, once the butter is melted, add the shallots and mince garlic. Fry for 3 min. Add salt and pepper to taste. Add the 2 shots of tequila and simmer for 3 min. Add the mussels and put the lid. Shake the saucepan so the tequila sauce covers all the mussels. Let them cook for around 7 min or until all the mussels are open. Once they are cooked, scatter the dill and coriander. Serve on a big bowl and enjoy with a nice piece of toasted sourdough bread.